Welcome to “Love it…Keep it” where I discuss things I’m currently lovin’ on. Right now I love stuff with numbers on it. It’s my new obsession. I just picked up “1” and “2” pillow covers from Pottery Barn. They are on sale right now! Most numbers are sold out online but when I went to the store they had a ton of them for only $13. Score! They look super cute on my couch in the living room. The best part is that there is writing on both sides, so you could display the big “1” or the definition of “one”. So cute! 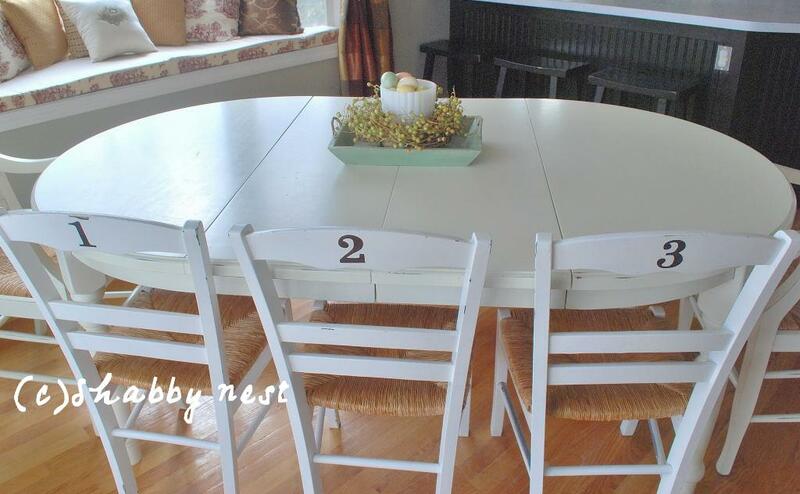 I also love these chairs from the Shabby Nest. I think I might do something similar in my dining room…once I have enough chairs! Aren’t they adorable? 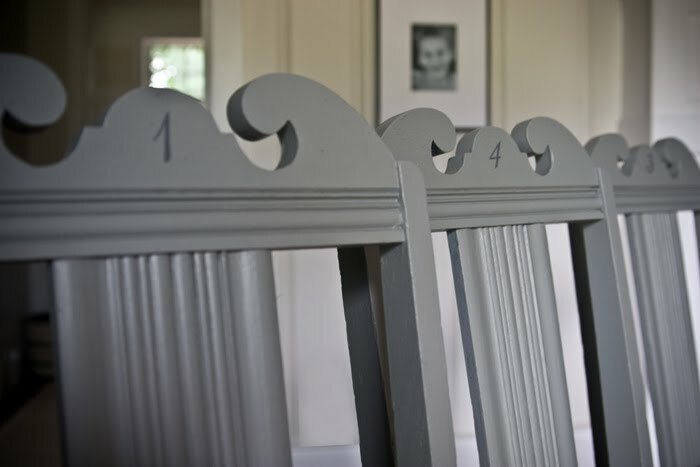 I am obsessed with these chairs from The Lettered Cottage. They painted them “1” “4” and “3” for the letters in “I” “Love” and “You”. How cute is that? 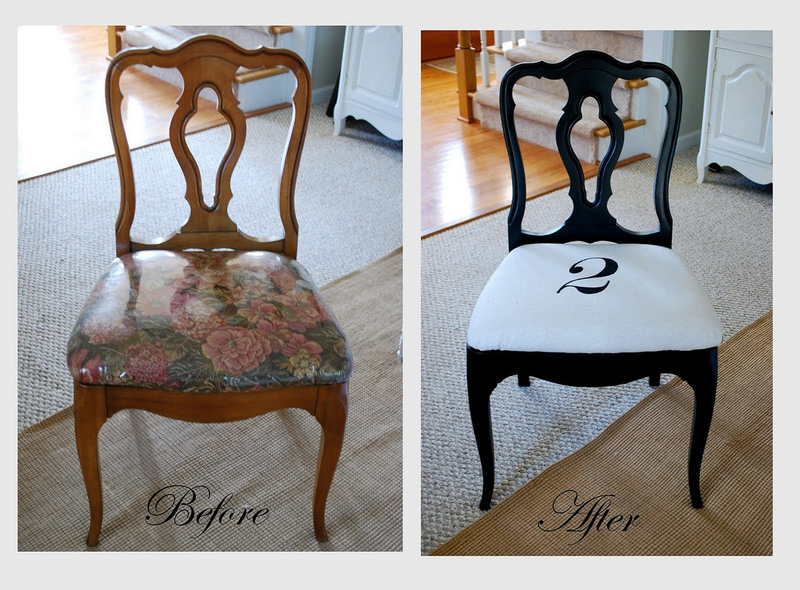 And finally I’m totally lovin’ on this chair redo from Pink and Polka Dot. Didn’t it turn out great? It makes me want to number everything! What are you lovin’ on this week? super cute! 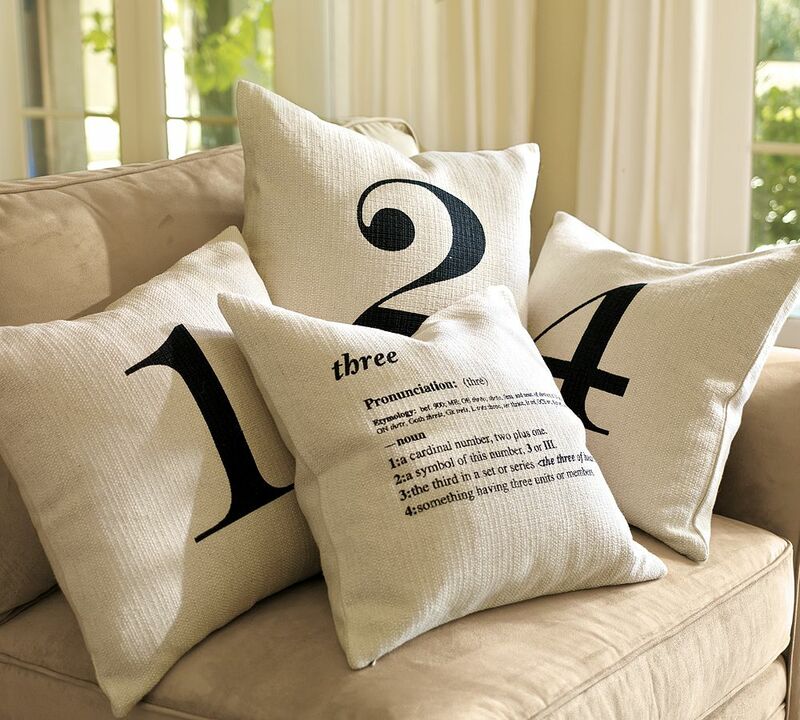 love the number pillow cases! Love the pillows…they go well in your living room! I love the Shabby Nest chairs. LOVE! love that! who know that old grandma style chair could become so chic!